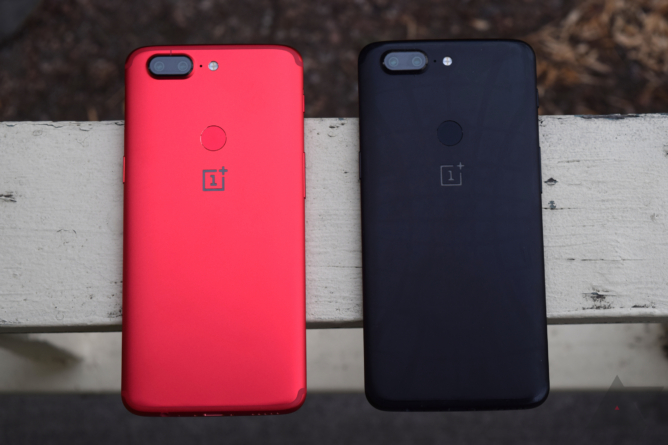 The OnePlus 5T has been a big deal for the Chinese company since the launch in November. Initially available in a plain old black, the 5T received a special Star Wars edition in December that was exclusive to India. That shortly arrived for the U.S. and Europe about a month later, minus the Star Wars goodness (that red Alert Slider, though). Now, OnePlus is ready to launch another previously-seen color for its Western audience. This is the Lava Red 5T... and it's a looker. 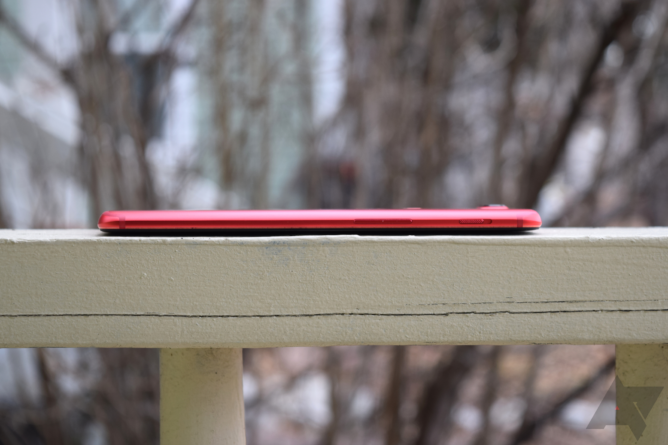 Initially a China-exclusive, the Lava Red 5T made its way to India a few weeks ago. David and I got to see this version of the phone in person at CES, so this news should come as no surprise. And like the Sandstone White, the Lava Red will be a limited edition variant, available only in the 128GB/8GB configuration. 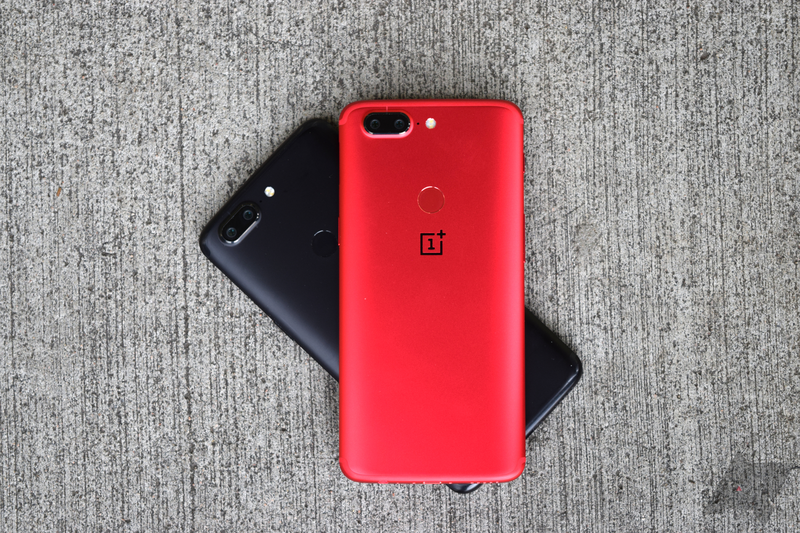 In a very smart decision, OnePlus decided to keep the price for the Lava Red the same as the Midnight Black 128GB/8GB: $559, £499, €559. The finish feels exactly the same as the black's, i.e. quite slippery. 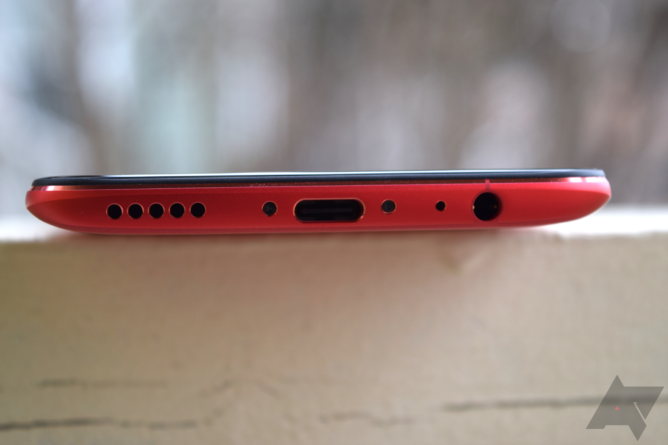 Except for the face, the entire rest of the phone is this vibrant ever-so-slightly-pinkish red — the fingerprint sensor, Alert Slider, SIM tray, antenna lines, everything. Other than the color change, you will find it no different than the black 5T. It still has the 6" 18:9 Optic AMOLED display, Snapdragon 835, 16+20MP camera setup, 3,000mAh battery, and blazingly fast fingerprint sensor and Face Unlock. It arrived on my doorstep with Nougat, but since Oreo just hit the stable channel last week, you can update right away. A phone like this deserves to be seen, so I would recommend getting a high-quality clear case for it if the slipperiness makes you nervous (it sure sets me on edge sometimes). The fact that it's not a black or white rectangle will certainly draw attention, and it is quite refreshing. I especially love the OnePlus logo in black, the only non-red thing on the back plate, and it contributes to making this phone stand out from the crowd. I'm sure that you are wondering how you can get your hands on this hot device. 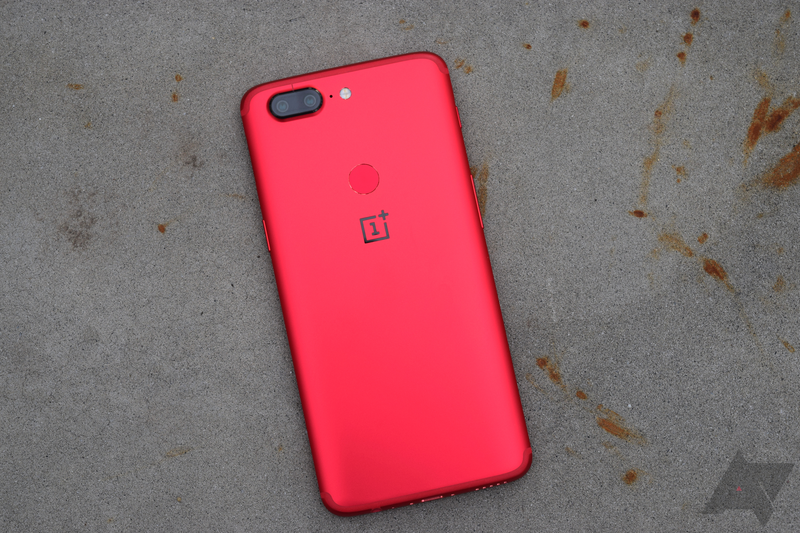 Twenty-fours from now, the Lava Red OnePlus 5T will go on sale and will remain so until none remain. So at 10am Eastern, be on OnePlus' store (with a PayPal account ready to go). I bet these will go as quickly as the Sandstone White model did. OP has not deigned to declare exactly how limited the stock is, so don't take any chances if you want one of these.